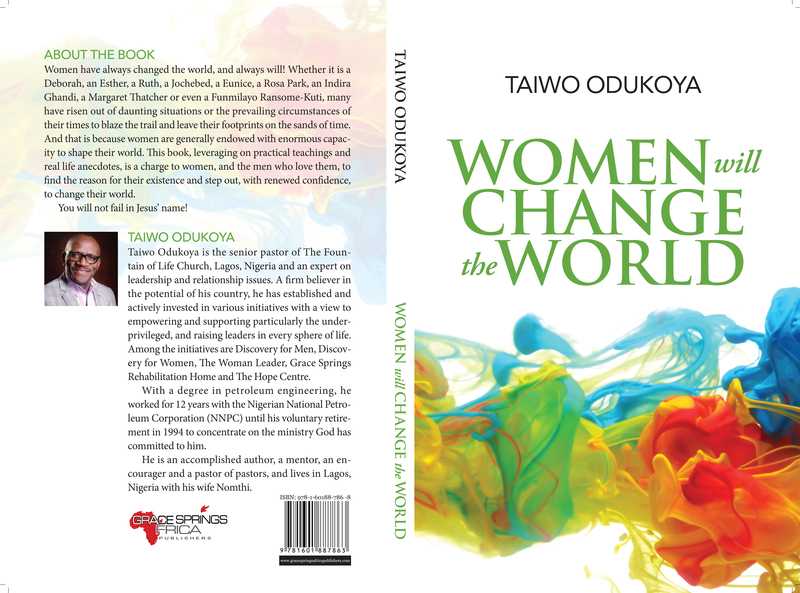 This book, leveraging on practical teachings and real life anecdotes, is a charge to women, and men who love them, to find the reason for their existence and step out, with renewed confidence, to change their world. Women have always changed the world, and always will! whether it a Deborah, an Esther, a Ruth, a Jochebed, a Eunice, a Rosa Park, an Indira Ghandi, a Margaret Thatcher or even a Funmilayo Ransome-Kuti, many have risen out of daunting situations or the prevailing circumstances of their time to blaze the trail and leave their footprints on the sand of time. And that is because women are generally endowed with enormous capacity to shape their world.